Debuting from the frying pan of the development room and into the arms of gamers worldwide, Spartan Ops will be one of the many features debuting in the tremendously anticipated Halo 4 release. 343 Industries has rebutted rumors circulating across Halo communities with the fact that five Spartan Ops missions will be released on a weekly basis after Halo 4. Note that there will be a launch day Spartan Ops mission waiting to commence at the click of a button. For those unfamiliar with Spartan Ops, Spartan Ops will revolve around the UNSC Infinity crew, a crew that is due for collision with the surface of the planet Requiem where Master Chief will trek early in the campaign discovering hostile Prometheans (not Forerunners, but rather entities that once protected actual Forerunners.) Each of these missions will begin with a fully animated cutscene and voice narrative lasting for several minutes with the comission of the actual gameplay with a duration similar to that of a short mission. These content packages are retrieved via online means, are designed to be a plot expansion device, will be free, and can be played with up to four players in the same match. As with campaign, the minute details are left to be discovered on launch day, but some specifics have been unraveled concerning the premise of the Spartan Ops game play. 343 Industries ensures a bare minimum of five Spartan Ops missions. After a month of analyzing both activity and feedback relevant to Spartan Ops, 343 Industries will then decide to either decommission Spartan Ops or continue it. It is almost irrefuteable to disclose any reasons as to why the severing of such a mode would even be fesiable a month after debut on Halo 4 due to the broad effects Spartan Ops will bring forth to the Halo 4 experience. 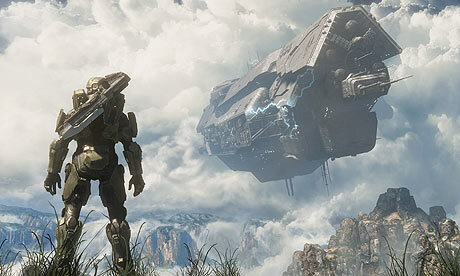 Players used to the lone wolf Chief may possibly take the helms of UNSC Crew members or Majestic Squad Spartans. As the Spartan Ops plot unfolds over the expansion of seasons and episodes, players will learn the history of Requiem. Exclusive demo information has revealed a search of an ancient god is responsible for the presence of Covenant on Requiem alongside the fact that every episode of Spartan Ops will withhold certain unique objectives different from the previous episode. Incredibly Spartan Ops is one of the many new additions to the Halo repertoire constantly being worked on by a developer existing for one purpose: to structure a franchise they loved as young teenagers and children. Regardless of refutable claims, filmsy rumors, and misguided insults, 343 Industries seems to promise the majority of true Halo fans with a package that will leave any Halo fan with a smile on their face and thumbs moving aplenty. Whether you are purchasing Halo 4 for its singleplayer, multiplayer, or both, the exceptional plethora of content to appease even the mightiest critic is surely an injection of improvement to a franchise that once held a glorious throne in gaming industry. Whether or not Halo 4 holds a toast to a throne graced with newfound popularity and laced with precious approval is at 343 Industries' discretion, but with the fascinating reveals the gaming industry has seen so far concerning Halo 4, 343 Industries is certainly going to obtain such a throne if not more valuable.